Toys are children’s favourite belongings and they relate very closely with them. 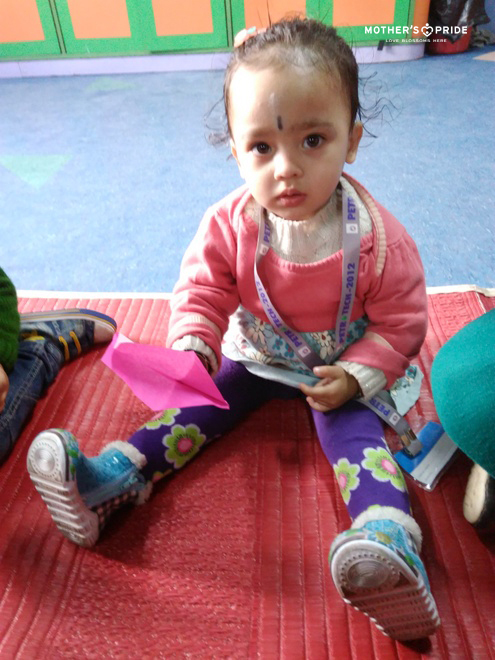 Using this as the context, our two-year olds of Play Group were involved in an interesting and fun-filled activity. 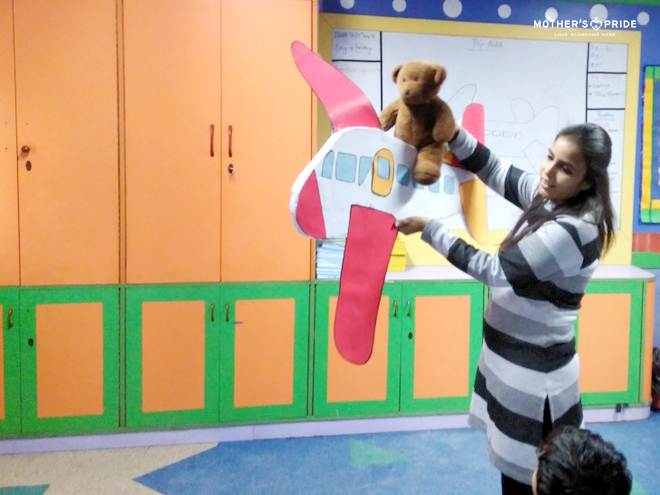 Teelu, the inhouse teddy bear visited our Prideens in his aeroplane. Sitting in his plane, he met each and every child. 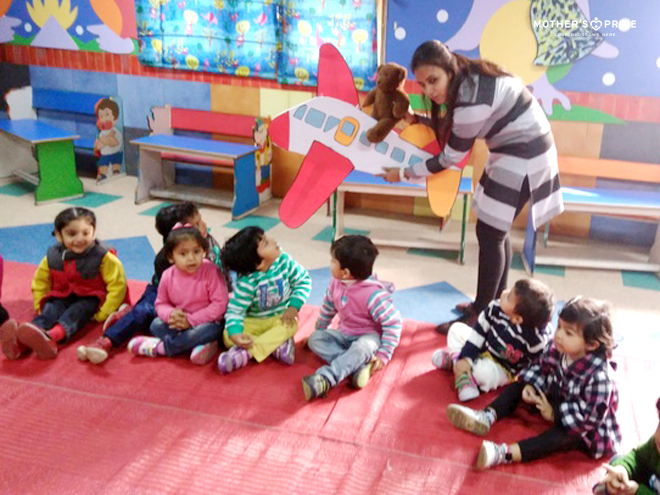 Children too were very excited and wanted a plane just like Tellu. 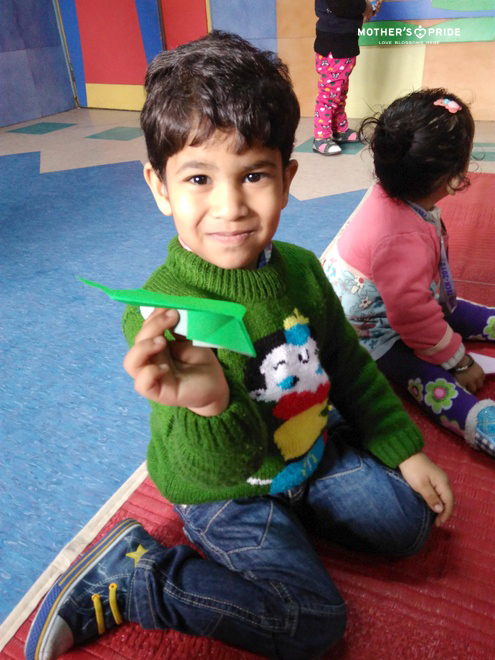 They were then introduced to the world of origami where together they sat around and as guided by the teacher folded the sheet of paper to make their own aeroplane. 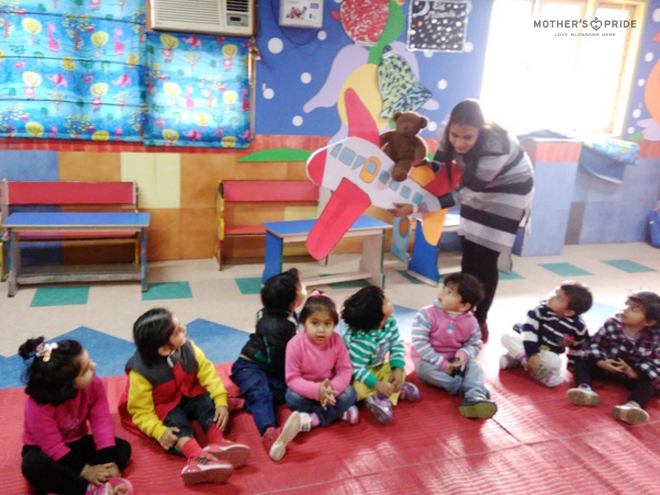 Using finger painting technique, they decorated their planes too and then it was ready to fly. 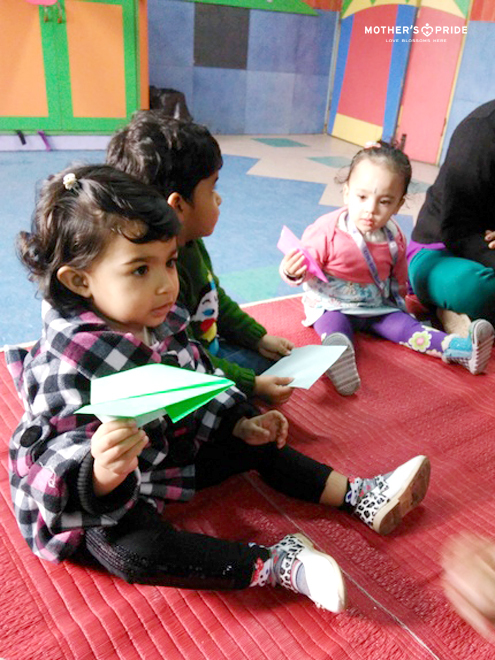 Children enjoyed flying their aeroplanes in their class.